As we enter November and approach the Thanksgiving holiday, thankfulness and gratitude are appropriate themes for our school community to reflect upon. There is a great deal to be thankful for here at YES! Personally, I am thankful to be the principal at this school and have the opportunity to be part of the amazing work that helps our children grow as empowered learners and citizens every day. I am also extremely thankful for the people I get to work with. Our students, families and staff clearly make YES a special place. Please know that all members of our school community have my gratitude for the role you play in supporting the success of every student. Our November newsletter highlights many of the events that have taken place over the past month and the exciting things we have to look forward to in the month ahead. Our annual YES Book Fair was another wonderful week of excitement and a celebration of reading at our school. We are thankful to Mrs. Clark for all the time that she put in to make this event so special for our students. We are also grateful to our many parent volunteers who came in to assist with this event throughout the week. Thank you all! At our community meeting, students shared their classroom pumpkin project with the every grade. Our third graders then modeled the "monster mash" dance and the entire school got to have some fun moving and grooving together. This meeting was planned and led by our third grade teaching team and we appreciate the work that they put in to make this such a successful and fun event again this year. We would also like to give a huge thank you to our PTO who donated the pumpkins to us so that this event could be made possible. Parents, thank you for actively participating in your child’s education. It has been wonderful to see parents coming in for conferences this past month. Individual conferences will continue to take place over the next few weeks. Our teachers truly appreciate your support and look forward to working closely with you throughout this year. Thank you again for your collaboration and partnership! Your support has been amazing! We are so grateful to you. If you have time, this gracious note (https://docs.google.com/document/d/1nzzmBqoksB442pITRtTTXvsy8pxPJ1wYeq2fcXceEEo/edit) is worth a read, describing one of the ways your contributions impacts our students. Hannaford Gift Cards - Next Due Date is Wed, Nov 7 @ noon! Two record months for HGC - thanks to you! If you’re able, please keep up the support, as that is what makes these enrichments (https://docs.google.com/document/d/1AZTRYP74NcWljLysS7WbC0iwsqcmEbmrc0MK-btlUVc/edit) possible! Rowe School Moms, join us Nov 13, 7:30pm at Gather to chat and get to know one another! We have reserved the community table for this event. (Individuals cover their own food and drink.) Space is limited, so please RSVP to Christina Copsey at tina.copsey@gmail.com as soon as you can! Join us Sunday, Nov 18, from 11am-2pm in the YES gym! At this beloved event, children make crafts to give away (or keep) as holiday gifts, spend time with friends, and enjoy a pizza lunch and snacks. Our Welcome Committee will have a bake sale and coffee corner to meet with other families if you like. If you could spare just a bit of time in one of the following ways, we would be grateful! Craft Table Assistants - If you can swing by for even just an hour between 11:30 and 1:30, we would love extra hands to help kids assemble crafts. Please contact Jill Tucker and Hannah Albright at info@yarmouthpto.org if you can help! Bake Sale - If you’d like to add to our baked goods table, please sign up here: https://signup.com/client/invitation2/secure/2521137/false#/invitation. We are holding a movie night for each school! The first movie will be shown at HMS for HMS students only on Friday, Nov 30th, time TBD. Movies for YES and Rowe students will occur later in the year; stay tuned! Due to parent requests, our directory is online this year! More info coming soon! Parent Leaders – Thank you to Jen McDonald and Sarah Day for leading our Close Buy fundraiser and to Jen Laneau for making sure HGC reminders make it home to parents! Close Buy Distribution - Thanks for your Close Buy sale support! We will distribute from the Rowe School library the second week of December. Stay tuned for dates and times. Box Tops - Thanks to you, we’ve already collected over 2500 Box Tops, earning $250 for the PTO! Please keep sending them into the schools! Teacher Appreciation - You filled the teacher breakfast slots in record time, providing our staff with a delicious back-to-school breakfast! We received numerous notes of appreciation from Yarmouth staff, and we extend the thanks to you! Join us Nov 15 @ 7pm in the YES library! Work with us! Fill out our (short) volunteer survey (https://docs.google.com/forms/d/e/1FAIpQLSfPYU_owgZA14RxaBUTujJzYwB1szW5MdQB8BOgaME1Mhfupw/viewform) or just send us an email. If you’d rather just donate to fund enrichments, you can write a check to Yarmouth K-8 PTO and send it to PO Box 262 in Yarmouth. Thank you again for your support! Please contact us at info@yarmouthpto.org for any reason! With Thanksgiving coming soon, time seems to fly by and there will be snow on the ground before we know it. Please be sure to come into our foyer and check the lost and found as we have many lost but not yet found sweatshirts and jackets along with several other personal items. We will periodically donate any unclaimed items so please take an inventory of missing items with your child. Additionally, this is a good time to review some of our winter weather playground and clothing guidelines as we may get some snow before our December newsletter. We will NOT go outside if the temperature on is 10 degrees or below. Wind chill plays into this, but fluctuates within seconds. The effect of a consistent wind chill combined with a temperature of 10 or below, may cause us to stay inside. Students who want to play in the snow and on snowbanks, must wear winter jackets, boots and snowpants. If the temperature is below 40 degrees it is too cold for shorts, tee shirts and no coats. At that temperature it is also too cold for shorts worn with leggings (high fashion, still too cold!). If you are in need of winter weather clothing please reach out to Ms. Spellman in the counselors' office as we do have resources available for those in need to make sure that all students have the proper gear. Thank you for your help with this to keep our children healthy and warm this winter! With colder weather here, lice become more common in the school setting. The American Academy of Pediatrics does not recommend exclusion from the school setting for lice or nits, but they certainly are a nuisance. Anyone can get lice...mainly from direct head-to-head contact but also from sharing hats, brushes and other personal items. Lice are no reflection on hygiene, and nothing to be ashamed of but, are definitely a nuisance! Please complete lice checks on children with itchy heads, or known exposure to lice, (spending time with friends, family, or classmates with a known case of lice) and let me, as the school nurse, know if your child has nits or lice. Together we can keep the cases to a minimum at YES. With winter approaching this is a reminder for families that sneakers are needed for PE class. The gym floor is slippery, and sneakers help to prevent injuries during the winter months. Boots worn outside cause the floor to become wet and dangerous and other shoes, though fashionable, do not have the traction required to run in gym class. Please work with your student and teacher to remember which day to send sneakers. Thanks! FRIDAY, NOVEMBER 2: KIDS NIGHT OUT! Don't forget to turn back those clocks and get an extra hour of sleep! Please make sure that you vote on this important day for our schools with two bonds on the ballot that address building needs in the coming years. I will be joining Dr. Dolloff, former YES principal Betsy Lane, and our technology integrator Cathy Wolinsky in Washington D.C. for the National Blue Ribbon School Awards Ceremony. I am honored to be representing our staff, school and community at this ceremony as YES is recognized for all the great work that has gone on here for many years. LITERACY GALA AT HARRISON MIDDLE SCHOOL 5- 7 P.M.
All community members are invited to celebrate and support books and reading! For more information contact Merry Stuhr, HMS Librarian, at 846-2499. I would like to take this opportunity to personally thank our community Veterans for your dedicated service to the United States Armed Forces. We will forever be grateful for your bravery and sacrifices to protect our country’s freedom. 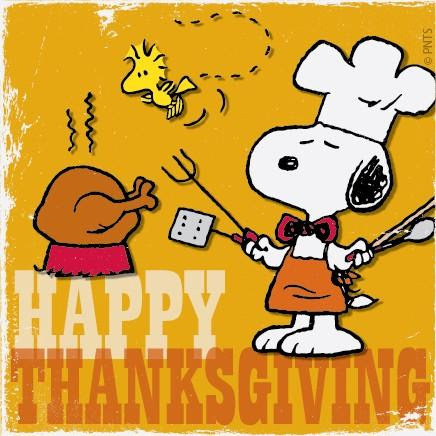 On behalf of of everyone at Yarmouth Elementary School I wish all of our families a Happy Thanksgiving and a wonderful start to the Holiday Season!